A pro - Communist coup, the impact and aftermath of the Soviet (1978-79) invasion and 30 years of war have demolished the social life, cohesion, integrity, solidarity, trust, capacity, and economy of Afghanistan. Millions of people have migrated to foreign countries, houses and villages have been destroyed, the countrys economy and infrastructure has been utterly destroyed, millions of young civilians and children have been deprived of education and thousands of women have been widowed. The conflict in Afghanistan has also had a great impact on security, economy and the political prosperity of other parts of the world. 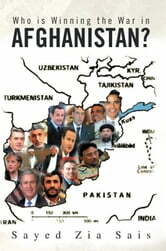 The 9/11 incidents which shocked the world, once again drew international attention back to the forgotten Afghanistan. The Bonn conference (2001), the NATO led invasion, the collapse of the Taliban regime and the promises of the international community to build a democratic Afghan government with a solid institution and strong security force, created great hopes amongst the Afghan population for a better future. After the fall of the Taliban regime, the violence and insurgency began to increase. Despite all international efforts and an increase in troop numbers from 10,000 in 2002 to around 140,000 in 2010 and the spending of 50 billion in aid, the Afghan government is still weak and does not have control over the whole country; the armed forces are not strong enough; violence continues to rise and last year was the deadliest year in nearly nine year of war; additionally, the security situation across the country looks increasingly bad. The lasting war has had little success in Afghanistan, the pressure of insurgents, increasing casualties, unpopularity of war among the population of NATO-led countries and enormous war costs in a worsening economic climate have caused the announcement of the withdrawal of troops by US President B. Obama in 2011 and the UK Prime Minister D. Cameron by 2015. This book aims to determine the answer to the question of whether the Coalition Forces are winning the war in Afghanistan. Livros relacionados a Who Is Winning the War in Afghanistan?